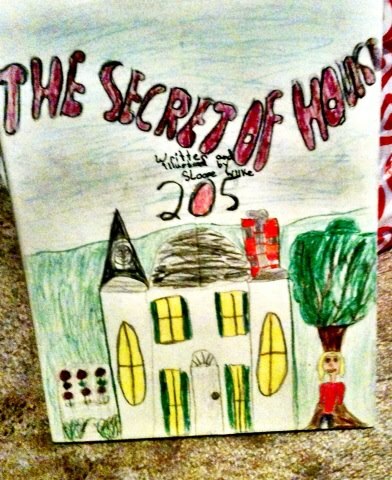 One of my favorite Hutchison memories involves the yearly book created by Lower School (grades 1-5) students. 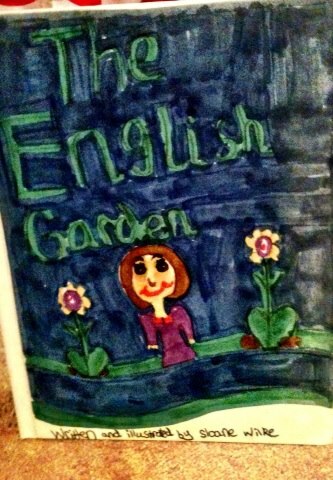 Every girl wrote and illustrated her own hardbound book each spring. While our teachers offered proofreading and general guidance, we had complete autonomy in terms of the artistic and written content. I think I speak for all of our classmates when I say this was one of the best times of the year. Not only did we have a blast– but it taught us the importance of creativity– and showed us that our ideas, expressions, and contributions outside of the academic realm were worthy and valuable. Every elementary aged child should have this as a part of their curriculum. 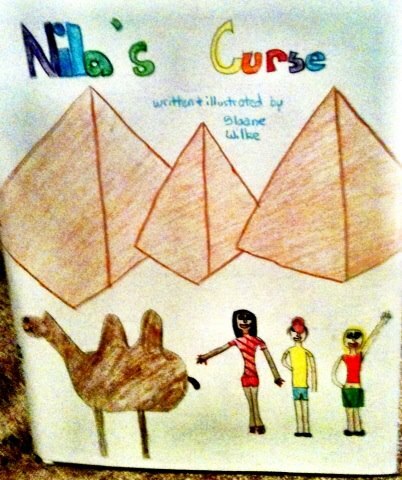 Composed in Ms. Isom’s first grade class, this is my debut novel. 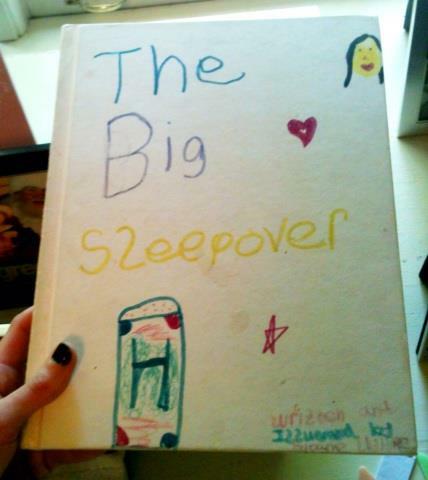 To the best of my recollection I had several sleepovers of epic proportions that year, so I’m sure that served as my source of inspiration. Write about what you know, eh? In my book I had a slumber party where I ate pizza and ice cream and then got into our non-existent outdoor hot tub with Huxley, Parker, Lisa, and Dorothy. If you think what I did in Ms. Ketner’s class merely involves perennials, you are sorely mistaken. There’s a sinister twist. Are you intrigued yet? You should already know that the ‘chief’ referred to in this context is yours truly and I thank Ms. Drummel for indulging me. Apparently most people missed the memo that we’ve already had our first female president– me– and our first minor president as well as I was only ten when I ascended the democratically elected throne of this great nation. ….because your teenage babysitter whisking your children off to the Middle East is a very real possibility. The charges don’t seem too unhappy though so I guess America wasn’t working out for them. Those over-educated, under-stimulated, and privileged youth…so ungrateful! I wonder if Ms. Koehn noticed my camel was missing a few legs. 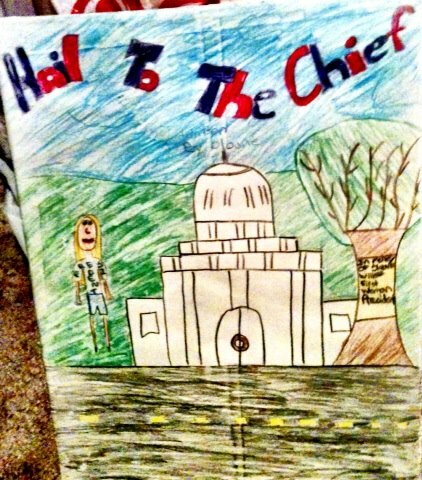 This entry was posted in Childhood, Hutchison, Words of Wisdom, Writing. Bookmark the permalink. This is really cute! I’m sure MeMae helped to “save” all those novels!